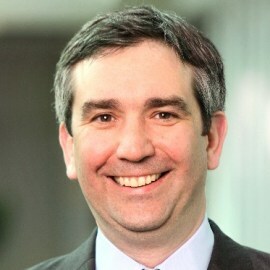 Michael Gill is executive director of the Air Transport Action Group (ATAG), the only global association that represents all sectors of the air transport industry. Its mission is to promote aviation’s sustainable growth for the benefit of global society. He was appointed as Director, Aviation Environment of the International Air Transport Association (IATA) in November 2013, with responsibility for developing and implementing IATA’s work in the environment field, particularly in the areas of climate change, noise, biofuel commercialisation and the IATA environmental assessment programme. Prior to that, he spent six years as senior legal counsel in IATA, supporting IATA’s external affairs portfolio. In that role, he led IATA’s delegation to three ICAO diplomatic conferences on airline regulatory and security issues. Before joining IATA in May 2007, Michael was an aviation lawyer in private practice at the Paris Bar, acting for airlines and their insurers. He holds law degrees from both King’s College, London and the Sorbonne University in Paris, as well as a masters degree from the University of Edinburgh. He is admitted as a solicitor of the Supreme Court of England and Wales and an avocat in France.